1. Make sure that your foundation is clear of any vegetation; weeds, grass and plants touching your structure. The ideal clearance on the ground away from your foundation is ideally one foot. Sometimes established plants fall within that area and we do not expect them to be moved, but it is important to trim them back if they are touching your home. It is something to keep in mind when you do any future planting that you consider the estimated mature size that plant will become and then plant accordingly to clear your structure by one foot at maturity. 2. If you have a dog, make sure that he does not have access to our technicians that will be walking around the footprint of your house. We have a dog policy that we have had now for quite a few years, which is that we will not service a house that the dog is out. 3. If you have locked gates, make sure that you have them unlocked or that we have means to get them open. If not, then we can only service the areas we have access to and the charge stays the same. 4. If you have been having an issue that we need to address while we are there, call at least 2 days prior to your scheduled date OR leave a message so we can take care of the problem while we are there. For example, if you are aware of a Yellowjacket nest and where it is located. Keep in mind that I do not call in advance of coming to service your home. I DO send out emails prior to your service as a courtesy to help you remember to be prepared. Everyone has received all the Route Scheduled Calendar Dates on their last invoice of 2018. You will also have those same dates again on your first invoice in 2019. If you have lost track of the dates, you can go to Route Schedules 2019 on our Menu Bar. A good idea is to look at our Integrated Pest Management (IPM's) page located in our Menu Bar. It is a list of helpful hints for aiding in making your home not conducive to infestations. 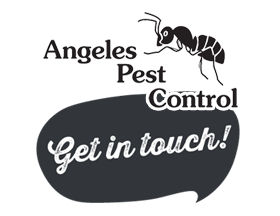 Go to Integrated Pest Management for helpful home maintenance.